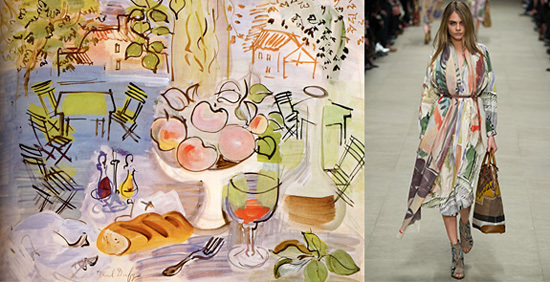 so when I caught a glimpse of the latest Fall collection by Burberry Prorsum, awash with watercolour motifs and whimsical prints, I was instantly taken back to my high school art history classes. 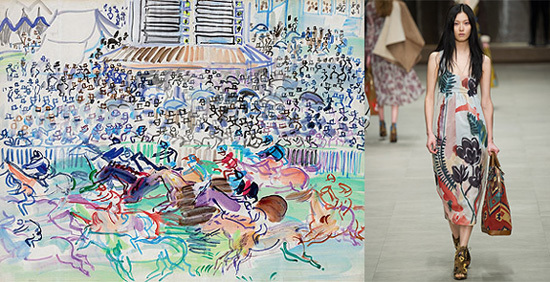 A vivid memory of one artist in particular, Raoul Dufy, came to mind when I gazed at this enthralling collection by Christopher Bailey. 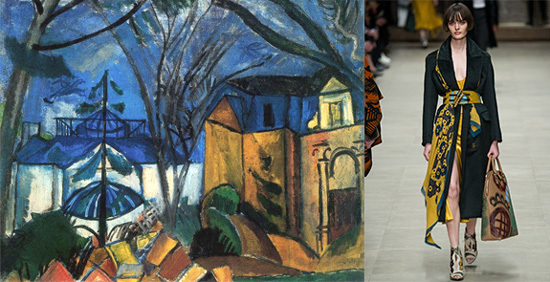 If you’re familiar with early twentieth century painting, you might recall this French Fauvist painter. 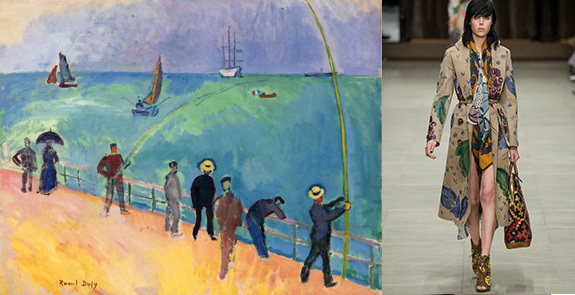 Fauvism, from the French for wild beasts, may have lasted only a few years but the impetuous style of these spirited artists packed a colourful punch. 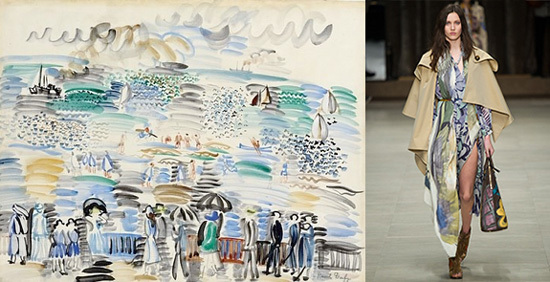 Dufy mostly painted in watercolours and developed a colourful painterly style, characterised by an appealing naivety of everyday scenes. 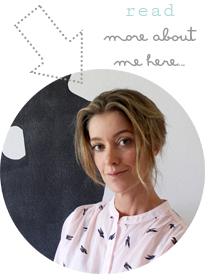 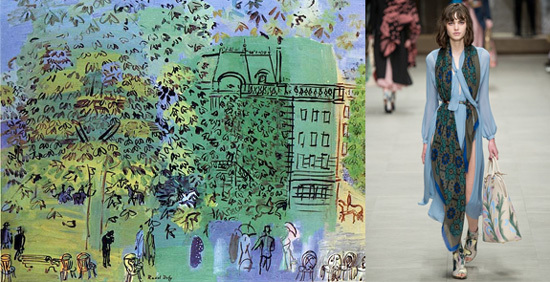 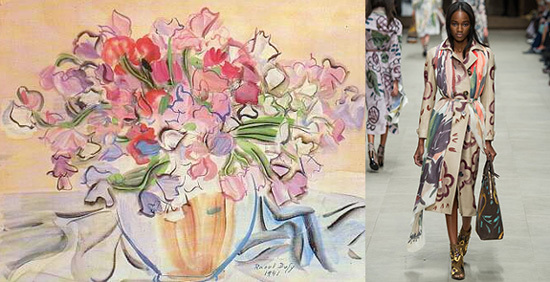 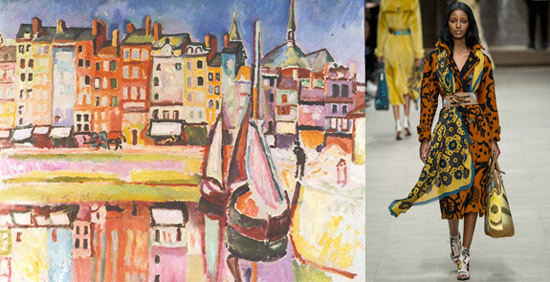 I always had a soft spot for the work of Dufy and it seems that my love for Fauvism finds my love for fashion today. 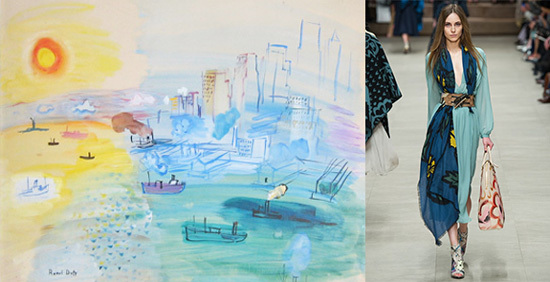 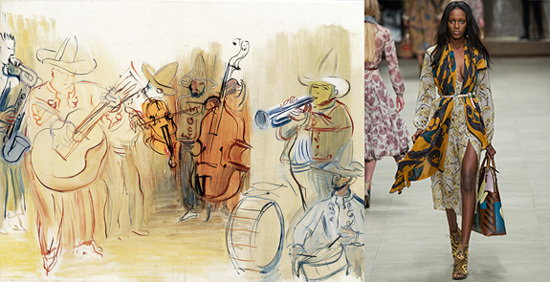 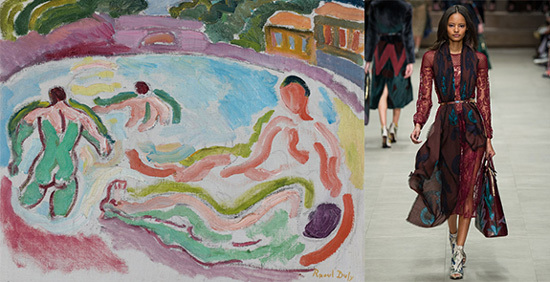 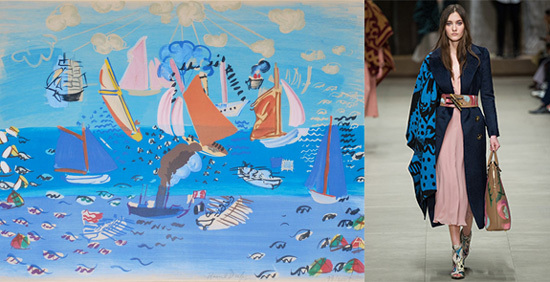 Take a look at my Fauvism x Fashion interpretations with the meeting of Raoul Dufy and Burberry Prorsum. 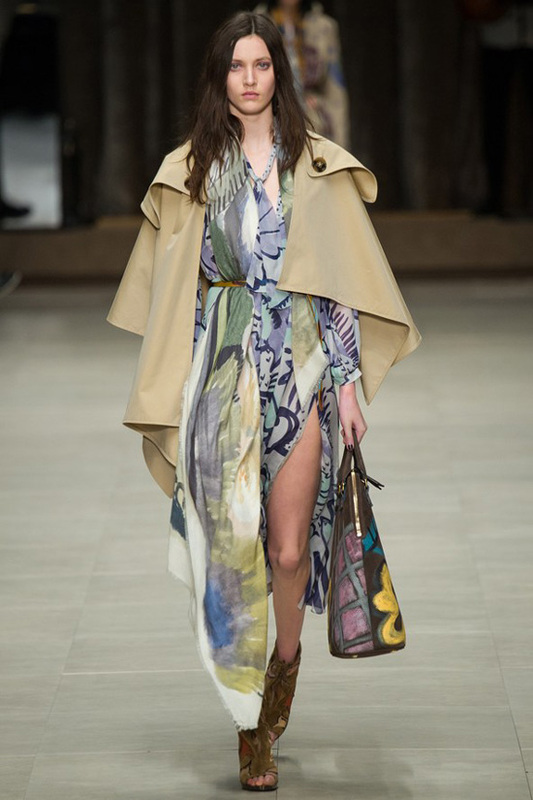 This entry was posted in art, fashion, inspire and tagged bags, belts, Burberry Prorsum, collections, dress, scarf, shows, trench coat on February 24, 2014 by DBS.